Joining the Friends is so easy! Just come to our meetings the first Tuesday of the month 1:30 pm in the Library or fill out a membership form at the Library or online here. Tax deductible dues and donations are made at your discretion. 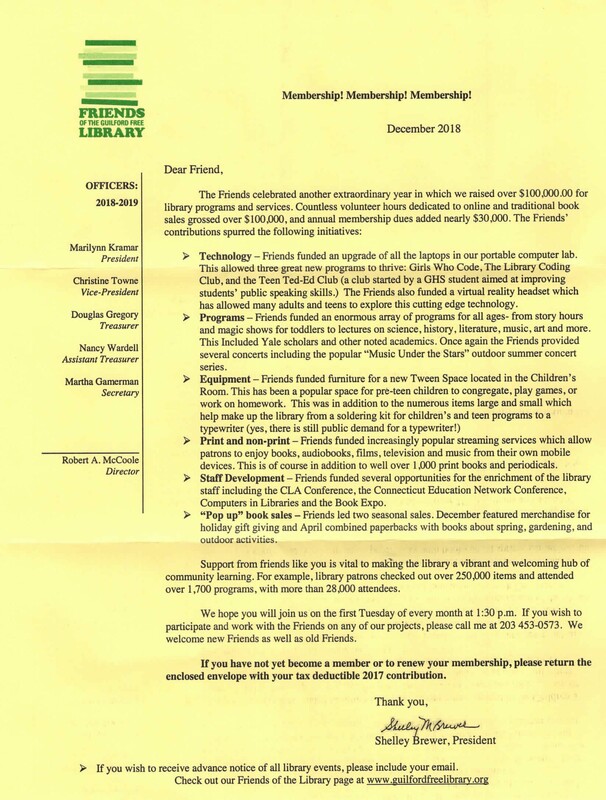 The Friends of the Library accept book donations year-round for their annual sale. Please drop off items at the library. The staff at the circulation desk can provide you with a letter acknowledging your donation, which is tax deductible. *Please don’t donate books that are tattered, dirty or underlined! Unfortunately, they don’t sell so we end up paying to have them carted away.